A new free-trade agreement signed between Australia and Indonesia will give the state exporters greater access to 270 million consumers, Assistant Minister for Agriculture and Water Resources Richard Colbeck has said. Senator Colbeck said the free-trade agreement would allow 99 per cent of exports to be duty-free or under some other sort of improved arrangement. He said the agreement would particularly benefit those in the fresh produce, dairy and aquaculture industries. According to Tasmania's State Growth department, the value of exports to Indonesia was $189.5 million in 2017-18. This figure represented a growth of $152.1 million in 2013-14 which was followed by two years of a decline in the value in exports. Indonesia is the state's seventh largest trading partner. Young professionals network The Coasters will expand to King Island thanks to a $17,500 grant from the federal government. 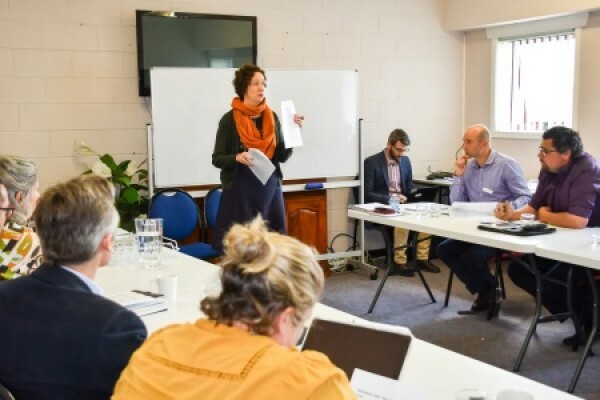 The funding will be used to host workshops about resilience in leadership on King Island and help emerging leaders attend The Coasters' Winter Symposium in Circular Head. Coaster Claire Smith said the group had great success in uniting future leaders and young professionals for the benefit of the region. “In a short period of time we have had noticeable impact in increasing retention and connectedness among young people in our region, particularly those who have moved here to advance their careers," she said. The Coasters received the $17,500 from the Building Better Regions Fund after Cradle Coast Authority chief executive Daryl Connelly applied on their behalf. 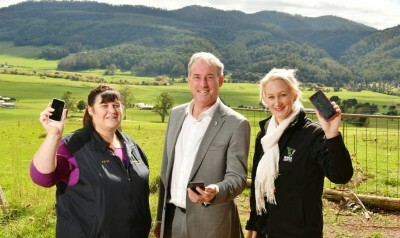 Liberal Senator Richard Colbeck said The Coasters inspired young people to take advantage of opportunities in regional Tasmania. “Encouraging our future leaders to see opportunities in rural and remote parts of Tasmania is critical to our future economic success," he said. King Island Council's growth and strategy manager Helen Thomas said she looked forward to seeing The Coasters established on the island. 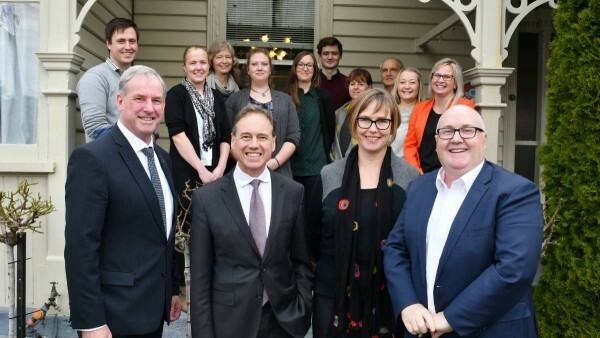 "Providing King Island's young leaders with access to a network of like-minded, aspirational young people will increase their opportunities to connect, inspire and grow," she said. The King Island Club will install a new roof thanks to a $61,875 grant from the Building Better Regions Fund. The roof has been repeatedly repaired over the past two decades and replacing it will prevent water leaking into the club. 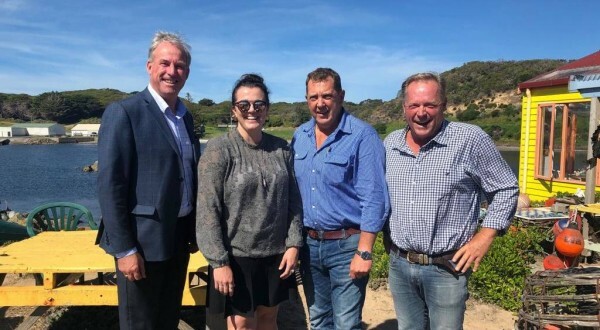 Vice president and treasurer Graeme Keeley said King Island Club was delighted to receive the federal government grant and hoped work would commence in a month. "The new roof will allow for better drainage, which will prevent the leaks that have plagued the club for years and allow for solar panels to be installed in the future," he said. Mr Keeley said the roof upgrade would benefit the numerous sporting and community groups sponsored by King Island Club. He said the grant money would also free up funds to facilitate other upgrades at King Island Club. 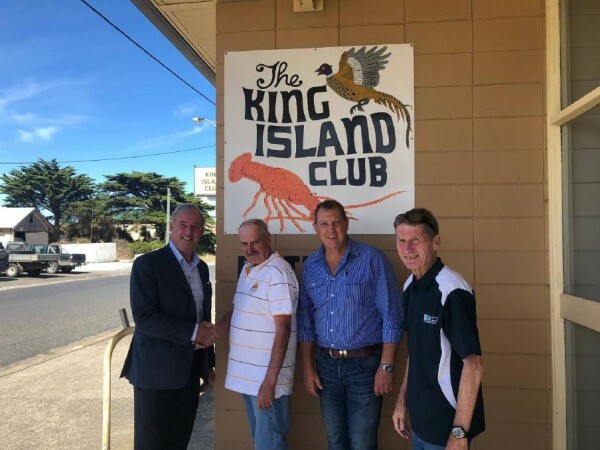 Liberal Senator Richard Colbeck said the King Island Club was a cornerstone of the community and a worthy recipient of the grant. 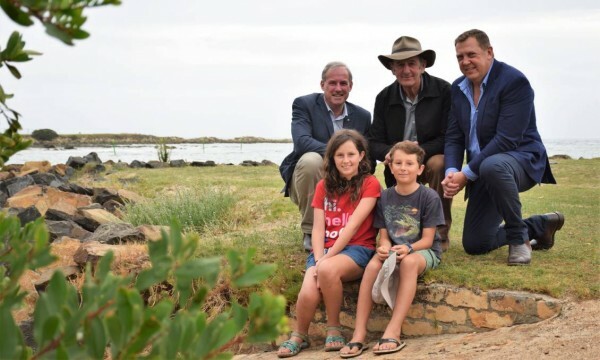 "This $61,875 grant will secure the future of the King Island Club and protect the priceless records of Island life that the club has custody over," he said. "The building has been a meeting place for Islanders of all walks of life for 75 years and this grant will ensure that it will continue to serve the community into the future. "By delivering a strong economy and a budget surplus the Liberal National Government has been able to invest in the vital community infrastructure that is so important to the lives of people in regional Tasmania." A major redevelopment of the Wynyard foreshore precinct is ready to proceed thanks to a $3.2 million grant from the federal government. Waratah-Wynyard mayor Robby Walsh said the council was "so excited" to receive the grant after two unsuccessful submissions to the Building Better Regions Fund. "I was getting to the stage where I thought these governments, they're only looking after the cities and the big areas...," he said. But Cr Walsh said the council was now "so happy" to receive the federal funding and "can't wait" to proceed with the redevelopment. "It's just a big boost to what we believe is a gem of the North West Coast," Cr Walsh said. The redevelopment is designed to improve access to the foreshore precinct and link into the Coastal Pathway project. The $7.1 million project will include significant landscaping, roadworks and a new multi-purpose facility to house the Wynyard Yacht Club and a cafe. The federal funding adds to $2 million pledged by the state government last year with the remaining costs to be covered by Waratah-Wynard Council. 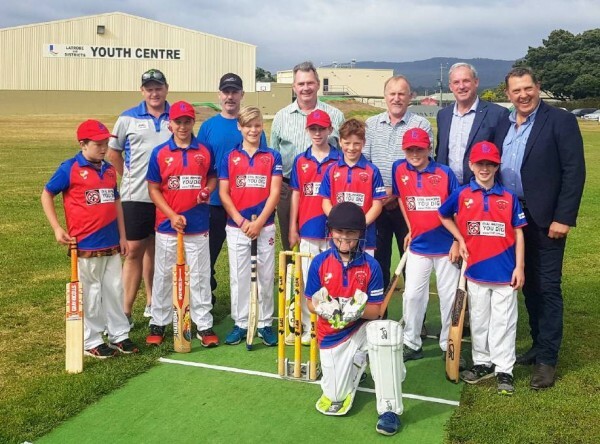 Liberal Senator Richard Colbeck said the project would improve "a pretty special part of Tasmania" that was already well utilised for local events. "It expands the capacity of this region but also creates a new capacity for special events, which is I think really important," he said. "… I know it's been an aspiration of the council and the region for a long time so it's really great that we're here today to say it will go ahead." Labor Braddon MP Justine Keay welcomed the federal funding but questioned "why the Liberals have taken so long to fund a local project that has obvious social and economic benefit to Wynyard and the wider region". "The Coalition’s belated commitment to the Wynyard waterfront project is long overdue," she said. "Federal Labor committed to fund this project before the 2016 election and again during last year’s Braddon byelection. On both occasions the Liberals did not consider the project worthy." Ms Keay said a federal Labor government would deliver funding for the project if Waratah-Wynyard Council didn't receive the funds before the 2019 election. Senator Colbeck said the Building Better Regions Fund was "a competitive program and usually considerably over-subscribed". "The department also provides feedback to unsuccessful applicants to help them improve their proposal for following rounds," he said. "The local Liberal team has also been advocating strongly to get the Wynyard waterfront over the live." Liberal Braddon candidate Gavin Pearce said the announcement of the grant demonstrated the Coalition "can actually provide real money for real communities". "And that's what this is all about," he said. "We can talk about tourism and all of that but this is about communities, bringing communities together, making the place a better place for communities and young people to grow up." A joint investment will all but secure a second power interconnector for Tasmania, says the Prime Minister. Prime Minister Scott Morrison was at Cethana Power Station near Sheffield on Wednesday morning to announce an $86 million project to make the interconnector investment ready. While the Prime Minister would not commit funds to building a second cable, he was very confident about the outcome. The double announcement means $56 million of federal funds will go toward the interconnector and $30 million will be provided by the Hodgman Government, through Hydro Tasmania, to complete the first phase of the Battery of the Nation project. "We are about stable and reliable jobs and that is generated here by stable and reliable power, which is delivered by the battery of the nation project," Prime Minister Morrison said. Together the projects will help Tasmania create more renewable energy, which can then be sold to Victorian markets and lower state energy prices. "The Battery of the Nation would help cut power prices and put an end to the sorts of recent blackouts that families and businesses have had to suffer through," Mr Morrison said. 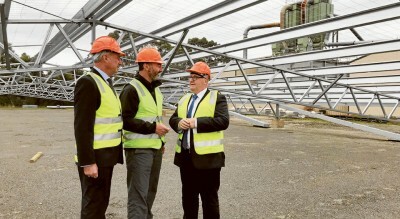 Premier Will Hodgman said the projects were expected to create up to 3,800 direct and indirect jobs during construction and deliver an economic stimulus of up to $7 billion, predominantly to North-Western Tasmania and regional Victoria. “These initiatives will cement our status as the nation’s renewable energy powerhouse,” Mr Hodgman said. Federal energy minister Angus Taylor said Tasmanians wouldn't be paying over the odds to see the Marinus Link in place. 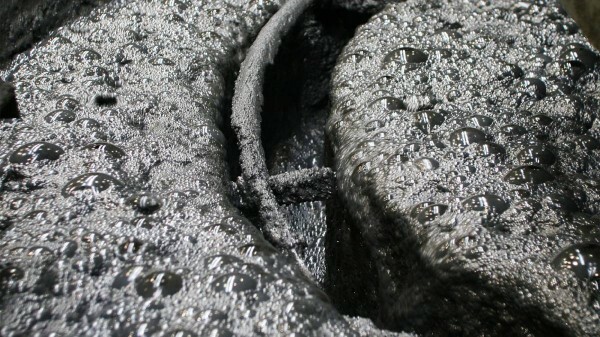 "Marinus (the interconnector) is really helping Victoria, those who are buying the energy are the ones who are going to be paying for the energy in theory." Mr Taylor said he grew up in a "hydro town" and thought this was a fantastic project for North-West Tasmania. "When you have great project like this, you create regional jobs that are great jobs. You bring great people into the area, you give jobs to people who are in the area." Mr Morrison said it was about stable and reliable jobs that were generated here by stable and reliable power, which was delivered by the Battery of the Nation Project. Tasmania is following in the foot steps of New South Wales' Snowy 2.0 pumped hydro project, which is where the Prime Minister was on Tuesday to announce that the site would become the second largest in the world. Director of strategy at Hydro Tasmania Andrew Catchpole said they welcomed the federal commitment to supporting pumped hydro and they would now choose three sites to put forward. "We have been working over the last two years to work out where the best investment sites are in Tasmania and we have many options. We have five options just at Cethana and we are working through the Mersey-Forth scheme, the West Coast and central Tasmania," Mr Catchpole said. Federal Member for Braddon Justine Keay said modelling had found that Tasmania’s Marinus Bass Link and related pumped hydro and wind generation investments only stacked up under Labor’s renewable energy policies. “The Tas Networks Feasibility Study is clear, the Marinus Bass Link project only stacks up if supported by a high emissions reduction target, like Labor’s 50 percent 2030 renewable energy commitment,” Ms Keay said. Ms Keay said Labor would designate North-West Tasmania as a renewable energy zone to coordinate investments. 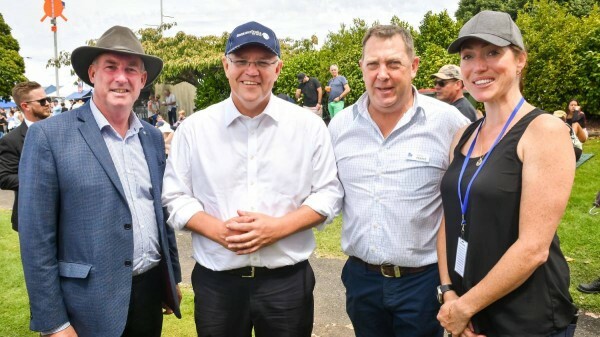 Attendees of Taste the Harvest in Devonport were surprised and flustered when Prime Minister Scott Morrison stopped in for a visit before heading to the airport. 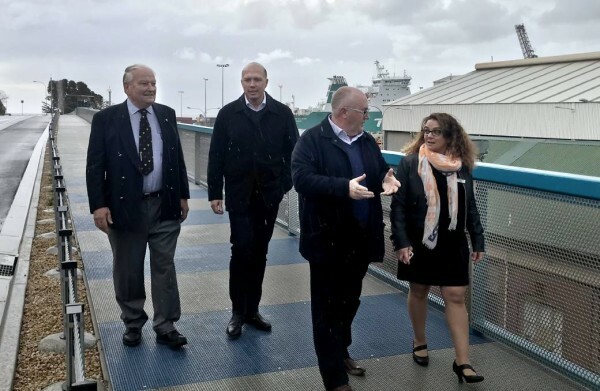 Prime Minister Morrison was on the Coast on the weekend to make a forestry announcement and to attend the naming ceremony of Toll’s new freighter. Mr Morrison chatted to many Coasters but proved to be a hit with some very excited North-West children. Lottie Temby, 7, didn’t know who the Prime Minster was or what he did until she met Scott Morrison but now she knows he “is the boss of Australia”. Lottie said Mr Morrison loved her face painting of a flamingo with rainbow. Lachlan Jones, 12, said the Prime Minister asked him how his summer was and what year he was in. Lachlan said he would say to his friends at school tomorrow “oh my gosh I met the Prime Minister on the weekend”. “I didn’t really think I would ever get to meet him,” Lachlan said. Luka Van Der Wolfshaar said he was a bit nervous when he met the Prime Minister. “I am going to tell my friends I met the Prime Minister and they are probably not going to believe me,” Luka said. Mr Morrison met plenty of North-West adults too, most of them were very surprised he chose to stop by. Taste the Harvest attendee Shannon Wainwright was one of the first locals the Prime Minister talked to. Mr Wainwright said it was a good surprise that the Prime Minister turned up to the food festival. “It was a bit of a shock, we knew he was in the state but to turn up to an event like this, it shows good support,” Mr Wainwright said. He said he worked for a shipping company so he thought the Toll ships were “good for Tassie”. Shipping company Toll Group spent $172 million on the Tasmanian Achiever II and its sister ship the Victorian Reliance II. The two vessels are 210-metres-long and will help the company boost its Bass Strait cargo capacity by 40 per cent. A new era of Tasmanian shipping was ushered in on Sunday with the official naming of Toll Group’s new freighter, the Tasmanian Achiever II. Around a thousand people packed the decks of the 210-metre-long vessel to witness the champagne smashing ceremony, tour the quarters and try a shipping simulator. Toll spent $311 million on the Tasmanian Achiever II, its sister ship the Victorian Reliance II and port upgrades in what has been dubbed the largest private investment in Australian coastal trading in 25 years. Chairman John Mullens said it was “a pretty special day” for the Burnie community, Tasmania, the Australian shipping industry and shareholder Japan Post. “In life today we hear so much about cutbacks and downsizing and economising that it’s great when an opportunity comes along to do the opposite,” he said. The two new ships will boost Toll’s Bass Strait cargo capacity by 40 per cent and quicken the crossing by two hours. Mr Mullens said the ships provided a “glimpse into the future” as they were greener, safer, more efficient and fitted with the latest maritime technology. 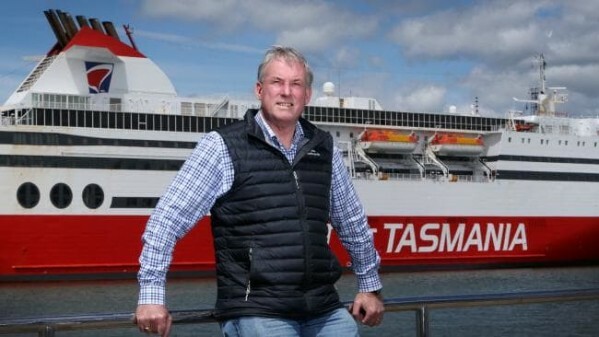 Prime Minister Scott Morrison attended the naming ceremony and said Toll’s investment in the ships reflected their confidence in Tasmania, “the turnaround state”. “They believe in what’s happening here in the Tasmanian economy and they’re investing back in that success...” he said. Premier Will Hodgman said Toll’s investment was “a truly stunning symbol of Tasmania steaming ahead”. “It’s a powerful show of confidence in Tasmania’s strong economy and our prospects by one of the world’s great companies,” he said. Japan Post bought Toll in 2015 and first executive officer Taneki Ono hoped the naming ceremony would ignite a strong bond between the two companies and the Burnie community. “Our confidence in the Australian market and your future is very strong, having invested more than $600 million into capital expenditure projects across the fleet, vessels infrastructure and technology,” he said. 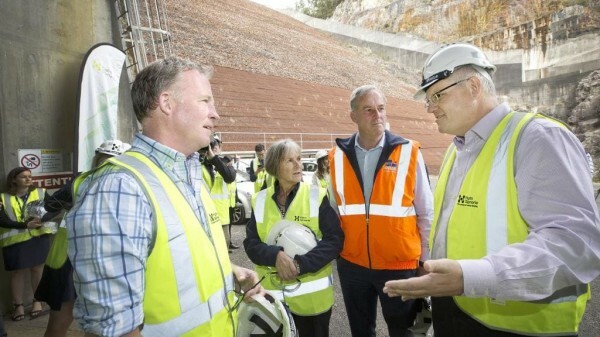 Prime Minister Scott Morrison has paid tribute to Tasmania’s hydro power pioneers as he heralds a new age in which pumped hydro will secure the nation’s electricity network. 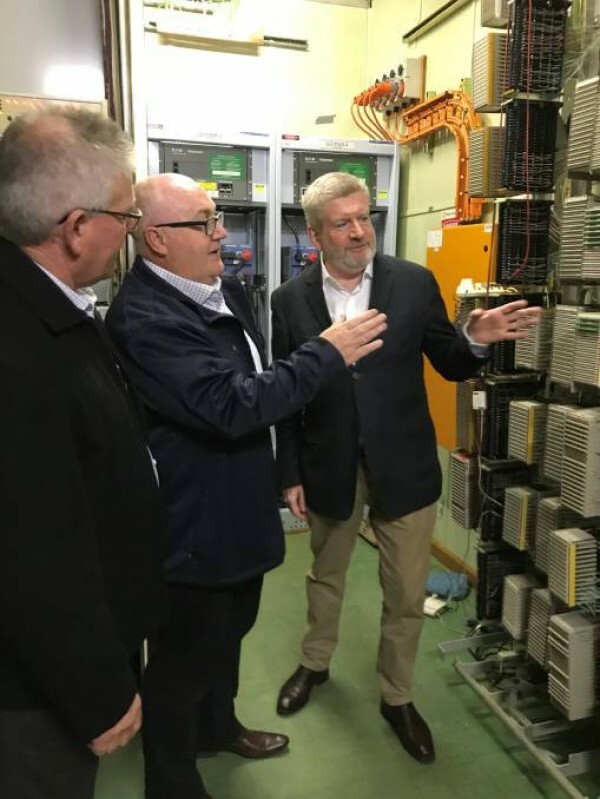 “As I tour places such as Cethana Power Station, I am overwhelmed by the sale of the vision Tasmania had for renewable energy more than 50 years ago,” Mr Morrison said today. Tasmania’s Energy Minister Guy Barnett said the State Government would spend $30 million over the next 18 months to identify which three Hydro Tasmania sites would be best for pumped hydro investment. Cethana, behind Sheffield in Tasmania’s North-West, is in the mix along with others in the Forth-Mersey Valley. The Federal Government will underwrite the pumped hydro development through its New Generation Investments program and put up $56 million, to flow this financial year, to boost plans for a second electricity interconnector between Tasmania and Victoria. 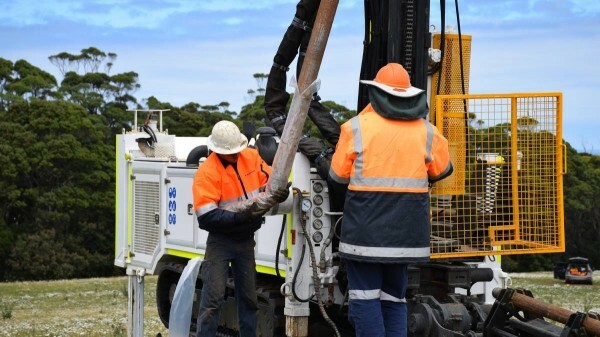 Hydro Tasmania will now accelerate work to identify one pumped hydro project to be ready to go when a second Bass Strait interconnector comes online — expected to be by 2025. Federal Energy Minister Angus Taylor said the recent investment in solar and wind in Australia was unprecedented. 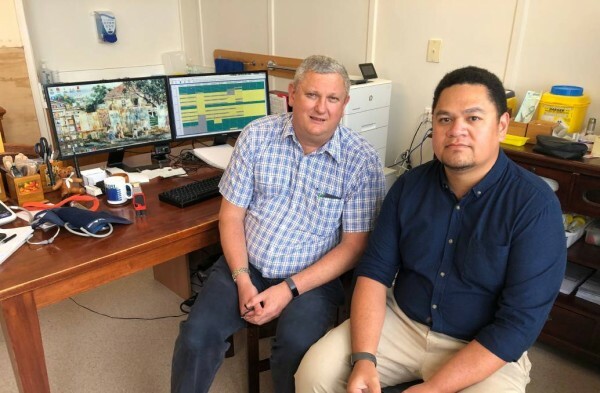 “The next challenge is to ensure that when the wind doesn’t blow and the sun doesn’t shine, we have back up storage to keep the lights on,” Mr Taylor said. The Snowy hydro scheme will also be expanded to help provide that back up. Mr Morrison said it had taken two years for Snowy 2.0 to become a live proposal and he was confident feasibility work would show plans for pumped hydro in Tasmania would also stack up. “But we need to move now,” Mr Morrison said. Premier Will Hodgman said Tasmania’s next hydro era would “turbocharge the state like never before”. “We are a hydro state and by working with the Commonwealth we can progress this vision, help an unstable national electricity grid and enjoy the economic and job-creating benefits that come with it,” Mr Hodgman said. Hydro Tasmania CEO Steve Davy said Tasmania could provide 1200 megawatts of flexible, reliable, dispatchable renewable energy to support the national energy market. Tasmanian Labor leader Rebecca White said Tasmanians needed to remember Mr Morrison went into parliament holding a lump of coal. “Now he is here trying to con everybody into believing that the Liberal Party have a plan for renewable energy while only Labor is working to reduce carbon emissions and see Australia get 50 per cent of its energy needs from renewable energy sources by 2030,” she said. 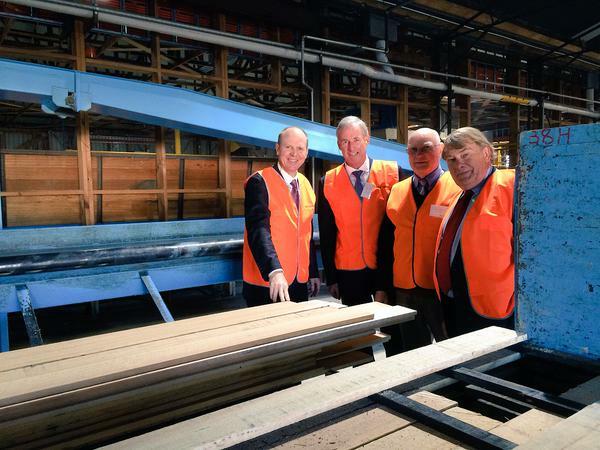 Prime Minister Scott Morrison visited Forico at Somerset to announce a forestry hub pilot program for the North-West. The hub is designated for North and North-West Tasmania and is one of nine set to be rolled out around the country, which the Liberal leader has committed $12.5 million for. 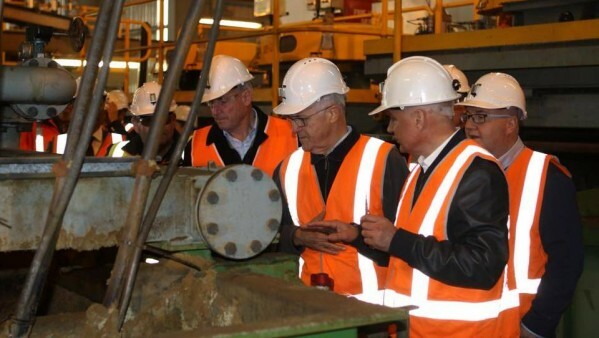 Prime Minister Morrison took a tour of Forico at Somerset on Saturday morning. “I am here because of jobs. The forestry industry carries about 70,000 jobs, it is a 20 billion dollar industry,” Prime Minister Morrison said. 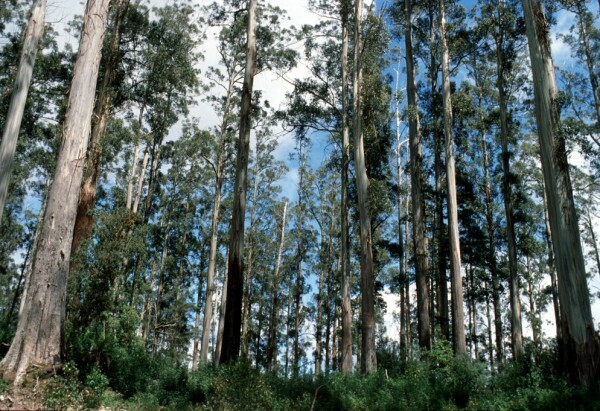 Scott Morrison announces forestry pilot program for North-West Tasmania. He said what they were announcing today was about how the government were going to continue to foster the growth and sustainable development of industry, not just for a little while but for a long while. Senator Richard Colbeck said it was about making sure they grew the right trees, at the right scale, in the right places. “We have set ourselves and objective of one billion trees by 2030. 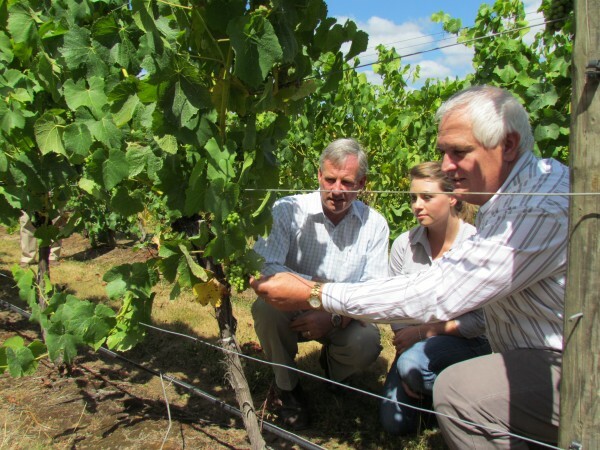 That is a lot of trees, that is about 400 thousand hectares,” Senator Colbeck said. He said he thought there was enough land available for the trees. Scott Morrison is expected to visit Launceston this afternoon to make another announcement regarding candidates. A wage subsidy scheme that aims to boost apprentice numbers in regional areas is set to support 68 Tasmanian jobs. The Australian Apprentice Wage Subsidy is almost fully subscribed less than a month after a trial was launched. 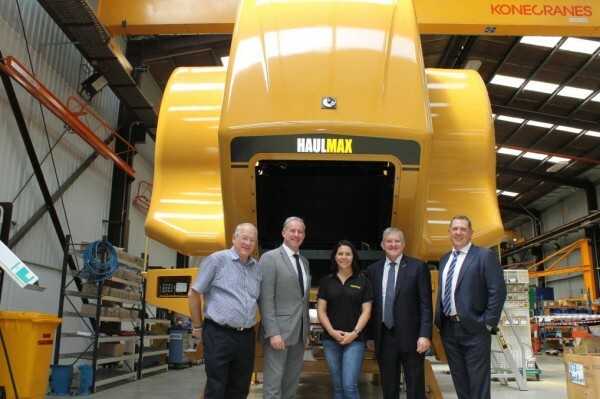 Liberal Senator Richard Colbeck said the result “demonstrates strong interest in technical and trades training”. “The Liberals in government have delivered on our pledge to create one million new jobs over the last five years, and apprenticeships will be a major driver in our commitment to deliver 1.25 million new jobs in the next five years,” he said. 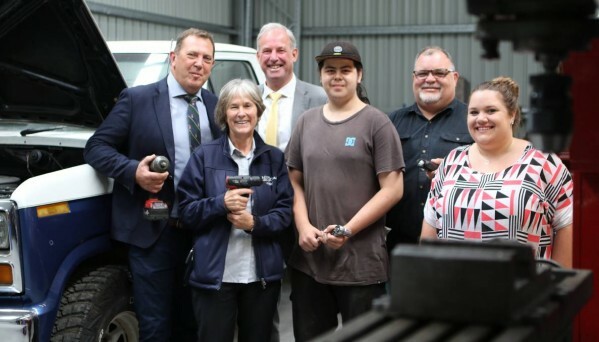 The scheme helped Ulverstone mechanics Tunemasters take on 17-year-old Leonard Smith as an apprentice. Leonard said he was a bit hesitant when he first arrived at Tunemasters to work alongside people much older than him. “It was a bit funny at first but I got into it and I enjoyed it,” he said. Tunemasters manager Richard Slatter said the scheme was “the best thing I’ve seen in the industry for a number of years”. “It gives me greater flexibility to give him better training I believe because I haven’t got the burden of trying to find a wage, so I’m not pushing him to make money for the business,” he said. Liberal candidate Gavin Pearce said the scheme would “go a long way to encouraging businesses to share their skills and know-how with the next generation”. 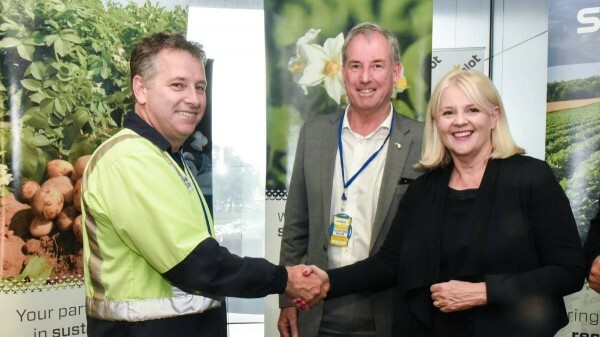 “Some businesses are looking to sign up an apprentice for the first time and I believe strongly that we should be incentivising them to teach the life-changing vocational skillsets they have to offer,” he said. “I know how important an apprenticeship is for establishing a strong career – I completed my dairy apprenticeship in Tassie and have also been an instructor at the Army Apprentices School at Bonegilla. The Australian Apprentice Wage Subsidy provides a 75 per cent wage subsidy for the first year award wage, 50 per cent for the second and 25 per cent the third. Melaleuca Home for the Aged has received a $428,863 grant to help it meet the demands of contemporary clients. The federal government grant will allow the East Devonport facility to convert two shared rooms and a storage area into private rooms with en suites. Melaleuca chief executive Simone Collins said the rooms housed four people in the 1980s but today there was little demand for shared rooms. “People’s expectations these days are very different to what they once were,” she said. Ms Collins said the conversion would completed around May and provide residents with more privacy and dignity. 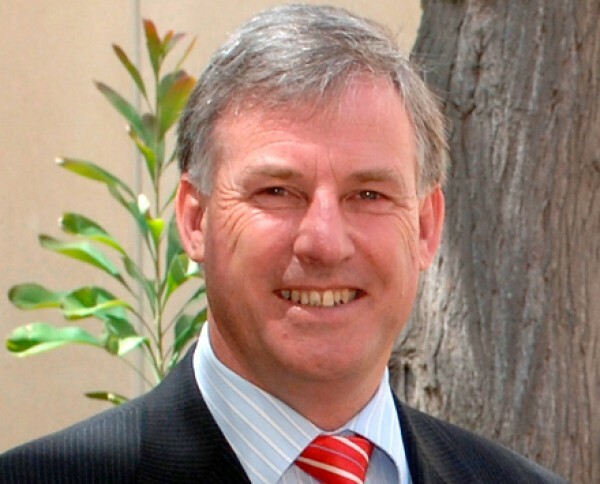 Liberal Senator Richard Colbeck said the grant was part of a $5 billion aged care funding boost for regional areas contained in the 2018/19 federal budget. “Every senior Australian should have a dignified retirement and a comfortable place to live,” he said. Liberal Braddon candidate Gavin Pearce said he was pleased Melaleuca was embracing the “phenomenal” changes om in aged care. “The shell shock that some residents must have had coming into an existing facility like this must be devastating,” he said. Why are Justine Keay and Bill Shorten going after low income retirees when so many respected investment advisers say it is just not fair? They are right to be concerned. How many more investment industry sources have to “drop a bucket” on Labor’s inequitable Nan & Pop tax, which will rip away up to 30% of an investor’s total income, before they finally see the light? Let’s not forget that when it was announced by Labor it was described by Chris Bowen as “well-targeted”, “carefully designed”, and “sensible”. Of course we all remember how that worked out. It very soon emerged that the effect was devastating even to pensioners. So a hurried announcement after about two weeks of chaos proclaimed pensioners would be exempted. One small problem – not all pensioners were exempted by their fix; even their carefully designed fix to their well thought out policy was bungled. If you are seeing a pattern think back to the Rudd/Gillard/Rudd years, and think of Pink Batts, overpriced school halls and that most special of policies “Cash for Clunkers”. A policy brain fade of such special status that it couldn’t even be implemented! Not only couldn’t Labor develop a decent policy, they couldn’t implement policy either. Yet Labor desperately cling on, as addicted to spending other people’s money as a crook with a credit card skimmer. This despite warnings like the latest from Djerriwarrh and others. Geoff Wilson from Wilson Asset Management said "We want to send a clear message ... that this is unfair. To me this was knee-jerk policy, illogical and grossly unfair." Bill Shorten himself said as recently as 19 September 2017 “I think Australians pay enough tax at the moment. I don’t believe that another tax is going to be what Australians need or want at this stage”. There you have it, don’t just take my word for it – take their word for it. So, we know from recent history that Labor are bad at policy development, and even worse at implementation. We also know that their disastrous Nan & Pop tax couldn’t have been designed better to hurt low income retirees if they had tried. And we know that the policy exempts the union super funds that bankroll the Labor Party and provide jobs for the Labor mates while devastating others. The question remains – when are they going to wake up to the harm they will cause and ditch the policy? I suspect they won’t and anyone with parents and grandparents thinking about a decent retirement needs to take a long, hard look at what Labor’s policy will mean for their loved ones in their twilight years. 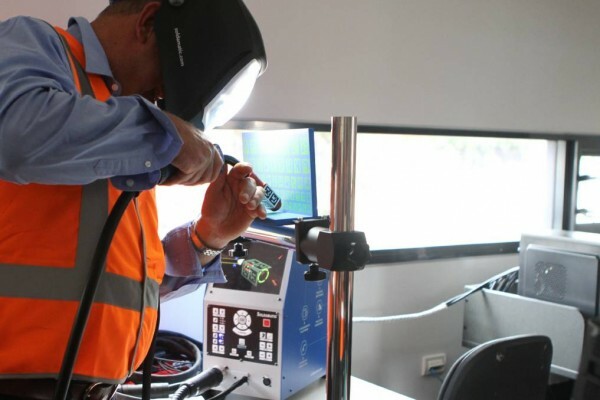 A WELDING facility in Burnie is bringing industrial training into the 21st Century with the use of virtual reality and computer game technology. The Tasmanian Mineral and Energy Council’s (TMEC) Burnie centre is the new home of a training facility which pairs computer simulated welding programs and more traditional training methods for use by industry and schools. TMEC General Manager Kent Wyllie said the augmented simulated reality welders, which each cost about $60,000, are portable and will allow for training to be delivered across the state. “We have had over 180 kids using the machines already, and schools are showing a really significant interest,” Mr Wyllie said. The machines have been designed to appeal to video game enthusiasts, as the virtual reality program awards points based on accuracy and difficulty, and attempts can be saved in the computer. The machine and programs can be customised to replicate conditions, styles of welding and the industry standards of various organisations. “We’ve got industry and TAFE here this week working together in a ‘Train the Trainer’ course led by Weld Australia,” he said. The facility is open to industry to assist in re-certification and ongoing education of employees. Liberal Senator Richard Colbeck said the facility was funded through a $750,000 Federal Government grant. “North West Tasmania has enormous opportunities … in the pipeline and it is vital that we pass on the technical know-how of our region to the next generation,” Mr Colbeck said. Struggling regional towns would take a $360 million hit under a dangerous union proposal to dismantle working holiday visas. 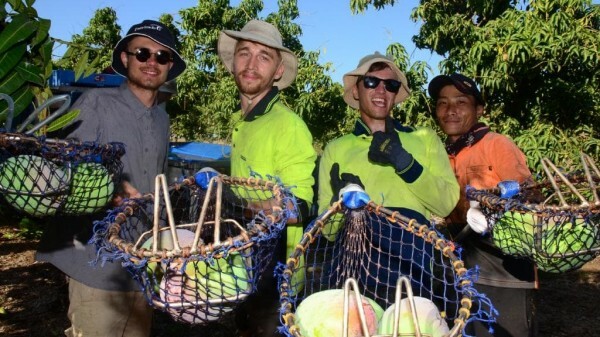 Government analysis reveals the Australian Council of Trade Unions push to scrap the second year of the program would send 36,000 backpackers who farmers desperately need for harvest packing. Working holiday makers spend on average $10,000 — abandoning the second year option would rip $360 million from Australia’s tourism industry particularly in regional areas where backpackers are forced to work. The Daily Telegraph revealed last week that the powerful union was pressuring Labor to overhaul working holiday visas and significantly reducework rights for backpackers. Opposition immigration spokesman Shayne Neumann did not rule out supporting the plan and said Labor, if elected, would cut the number of temporary workers in Australia. In 2017/18 there were 309,000 working holiday maker arrivals to Australia who injected $3.1 billion into the economy. 72 per cent of those backpackers spent some time in NSW while in the country. Senator Birmingham said Labor had once again proven it was beholden to its union masters. “Labor and the ACTU’s plan to abandon altogether the second year working holiday visa would remove over 36,000 working holiday visa holders from the Australian economy,” Senator Birmingham said. Agriculture assistant minister Richard Colbeck said the Morrison government was committed to expanding the program unlike Labor. “Access to sufficient labour, particularly for seasonal work, is a perennial issue and concern for the industry,” he said. Australian Chamber of Commerce tourism executive chair John Hart said backpackers were a vital source of tourism revenue particularly in the regions. “Often the focus with the Working Holiday Maker Program is its importance to the agricultural sector, but for tourism, the program is as much about tourism spend as it is about supplementing the workforce,” he said. A NETWORK of new world class mountain biking trails has been unveiled at Latrobe. The first stage of the network, which will connect the reserve with the towns of Railton and Sheffield in the future, is a 15 kilometre section combining beginner and intermediate trails at the Warrawee Reserve. 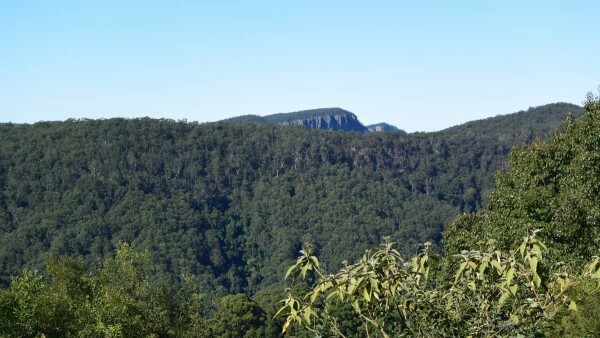 The $4.1 million project is a joint venture between the Latrobe and Kentish Councils, and will take in the Badgers Range and Kimberley’s Lookout when complete. The trails have been built by Next Level Mountain Bike, which was also responsible for the recently opened Montgomery Loop in the Dial Range, and director Marcelo Cardona said the trails will provide something for everyone. 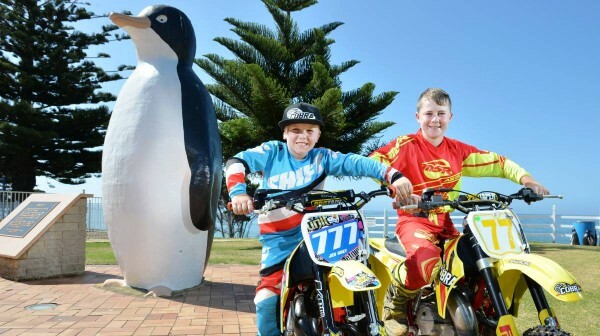 ”This is a very good start for family and enduro type riding,” Mr Cardona said. Latrobe Council Mayor Peter Freshney said the Wild Mersey project provided many great opportunities for the region. “It brings with it so many possibilities in terms of economic development,” Cr Freshney said. Derby, in the state’s North-East, is home to the Blue Derby trail network which has become a must-ride destination for the world’s mountain biking community since its opening in the 2015. The Enduro World Series, which is the elite level of professional mountain bike racing, will return to Derby for the second time in 2019. It is possible such events may be attracted to the North-West in the future. 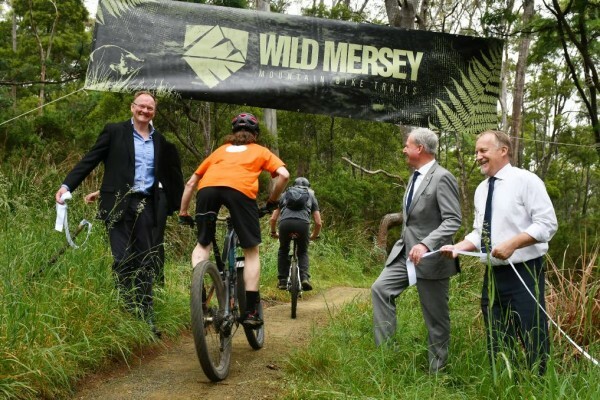 “[Wild Mersey’s opening is] a wonderful for mountain bikers, and for those who may seek the opportunity to expand their journey in Tasmania to include other mountain bike parks other than Derby,” Cr Freshney said. Kentish Mayor Tim Wilson said the project was symbolic of the relationship between the two councils. “It’s a great way to enjoy our beautiful reserves and bush land while keeping fit,” Cr Wilson said. The project is currently $900,000 short on its $4.1 million target, and Cr Freshney said both councils would work to ensure the Federal Government would cover that shortfall in 2019. Smithton doctor Daryl O’Connor has been granted permanent residency after visiting the Immigration Department in Hobart on Thursday morning. Dr O’Connor’s bid for permanent residency was rejected on November 30 and he was given 35 days to leave the country but the decision was overturned after the community and many others fought to keep him. He is originally from Fiji and has been living and working in Smithton with his wife and children for five years. Dr O’Connor said he was overwhelmed by the decision and it was a wonderful early Christmas present. He said he was only asking to be allowed to apply for another visa so now his family were over the moon because permanent residency was more than they were hoping for. “The community rallied on our behalf and helped get people in power into action,” Mr O’Connor said. He said his whole family was very grateful for the decision. He said his wife’s employer, the Smithton Pharmacy, and his own employer were supportive. Smithton Medical Centre Principal Dr Anthony Popiel said he was very happy and grateful for a number of people. “We are grateful to the community for making their feelings known and standing up for what they want,” Dr Popiel said. Senator Richard Colbeck said he was pleased to have resolved the issue and he appreciated the assistance of Immigration Minister David Coleman, who was willing to engage and help the community resolve the issue. 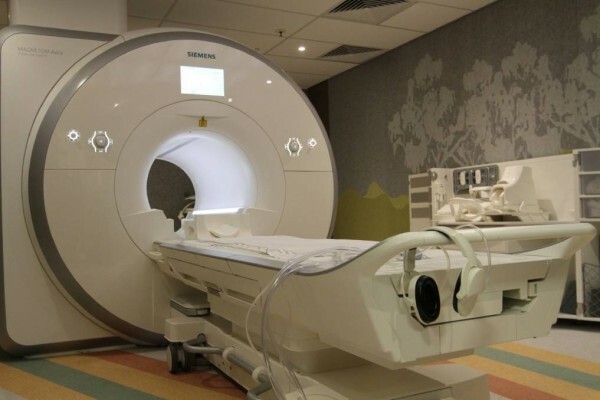 “We understand the value of any doctor to the community and Dr O’Connor obviously has good relationships with patients, so we are pleased we got this resolved as soon as we possibly could,” Senator Colbeck said. Murchison MLC Ruth Forrest said she was in Smithton when the word came through and the news was talked about with great excitement. She said she went into the Smithton Medical Centre and the Smithton Pharmacy and lots of the staff had tears of joy. “I commend the community on uniting to really make clear the case for a sensibly decision on this,” Ms Forest said. “The community care deeply about access to health service. Dr O’Connor worked in aged care and the local hospital, so to them it was great to see a sensible outcome, which has been achieved. She said she was proud to play a part in personally assisting to advocate on behalf of the Circular Head community. Circular Hear Mayor Daryl Quilliam wrote to politicians from all levels of government on behalf of Council to ask for Dr O’Connor’s residency to be retained and said he was pleased with the outcome. “This is great not only for Dr O’Connor and his family, but for the whole Circular Head community who benefit from having him here,” Mayor Quilliam said. “The way the Circular Head community has rallied behind him has been fantastic and I thank them all for their efforts. “I’d also like the politicians from all levels of government for their support and for advocating for this outcome. 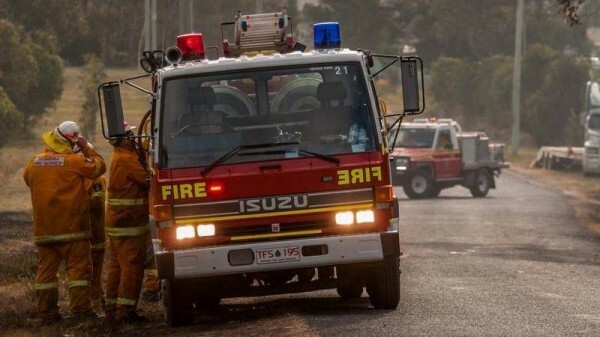 “The Liberal National Government has been working hard with state governments to undertake the Mechanical Fuel Load Reduction Trials through the National Bushfire Mitigation Program,” Minister Colbeck said. “The trials are examining if mechanical reduction of fuel load is another viable way of protecting forests and communities, in areas where planned burning is undesirable. “By undertaking these trials and incorporating the learnings from them we will be able to use evidence-based prevention and management methods in the future. “Our hope is that it will give us alternatives to those we currently have—like planned burning—especially around key assets, high population areas where smoke can cause health concerns, or high conservation value areas where planned burns pose too high a risk. “These trials are about reducing the potential for high intensity bushfires by finding effective and efficient ways to reduce fuel loads whilst retaining important forest values. “The trials provide an example of innovative, active and adaptive management approaches to forest and fire protection across the landscape. “We’re always looking for ways that do the least harm to the forest and produce the most benefit in mitigating the risk of bushfires. “The treatments have now concluded and the results are being used to model fire risk at a landscape level, and analyse the costs and benefits. King Island Men’s Shed has a new home following the opening of the first stage of the Phoenix Community Complex. Spokesperson Jim Benn said the Men’s Shed would move from “a dodgy, old building riddled with birds” to a purpose-built facility with amenities. “There’s no comparison between this and what we had,” he said. Phoenix Community Complex will include offices, an activity room, kitchen and homes for three organisations. 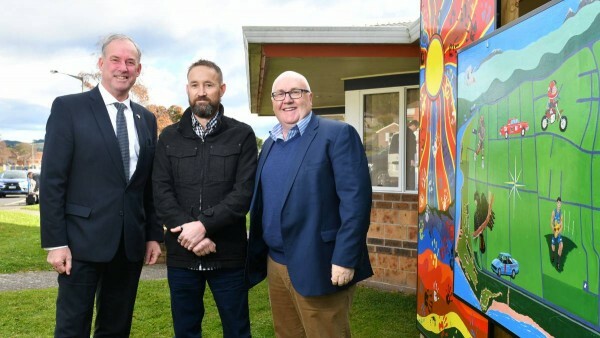 The project was funded by $245,000 from the federal government and contributions from the state government, TasPorts, the Australian Men’s Shed and Phoenix Community House. Deputy Prime Minister Michael McCormack said the Coalition was pleased to support the community space. “Men’s Sheds are a great way to support men’s physical and mental health, offering them a safe and healing environment to chat over a cuppa while working on meaningful projects,” he said. 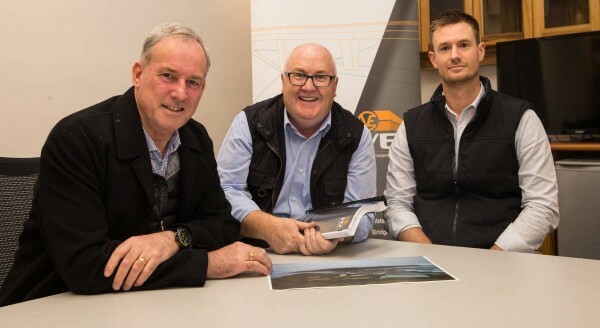 Liberal Senator for Tasmania Richard Colbeck said funding for the first stage of the project was promised during the 2016 election and the second stage during the Braddon byeleciton. “… And both have been delivered because this is a government that keeps its promises,” he said. Phoenix House coordinator Sally Haneveer said both sides of politics had been very supportive. “We look forward to stage two of the project going ahead, estimated completed mid 2019,” she said. Some students are set to benefit from a new science, technology, engineering and mathematics (STEM) building. Devonport Christian School was granted $600,000 by the Liberal National government through the capital grants program. Senator Richard Colbeck made the announcement on Thursday at the school but the students were more excited talk about their recent achievements. Some students went to Sydney to show their Lego robotic skills in a national competition after coming second in a competition hosted by UTAS in Launceston. 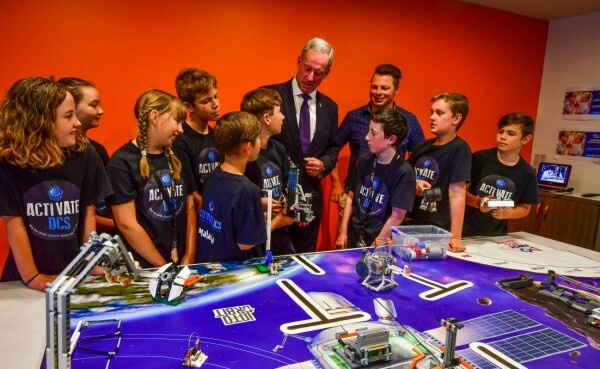 “I have just been talking to the kids and they have been showing me their logo robotics escapades and how the competed in competitions in Sydney,” Senator Colbeck said. “It really goes to demonstrate the value of students learning STEM and all of the things it teachers them including really important general life skills, teamwork, patience and perseverance. Devonport Christian School Principal Chad Smit said they had exceptional staff at the school who were passionate about STEM programs. “They have been running steam programs here for four years outside of school and just the passion that they have then catches with the children. Teachers love to teach it because the children are so passionate about it,” Mr Smit said. He said it grew the literacy and numeracy skills they were already learning in class by giving them problems to solve and encouraging perseverance. The build is due to commence in February next year and should be completed by 2020. Mr Smit said he was thrilled that it had been fast tracked to next year. 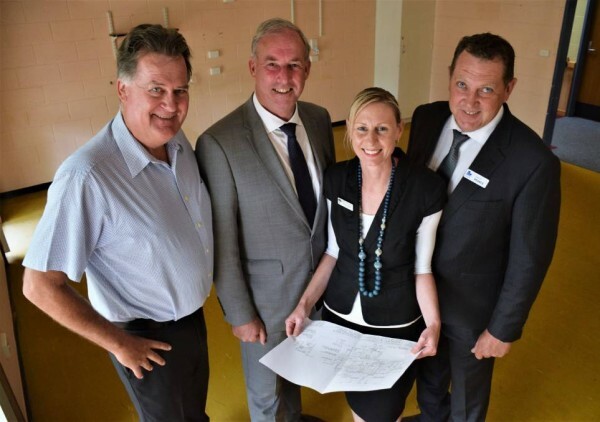 “That’s why the coalition government is proud to deliver the capital grants program, which has benefited thousands of schools across the nation,” Senator Colbeck said. “We know that STEM capabilities will be at the core of the future economy, and encouraging the curiosity of the next generation is one of the best investments we can make. Elphinstone opened its newly refurbished facility at Wivenhoe on Saturday for the public to see. Elphinstone bought the facility in 1988 but was occupied by Caterpillar from 2000 to 2016. When Caterpillar moved out in 2016, it was in a “tired condition”. Dale Elphinstone said now it looked like a new facility, even though it was not. “People did an amazing job, the tradespeople, the suppliers and Fairbrothers in particular,” Mr Elphinstone said. Mr Elphinstone gave a speech to the crowd and thanked the families of employees who travelled, while they were at home. He told the crowd the property started out small and had grown over many years into the new facility. “When Caterpillar decided to move its operations to Thailand, the Elphinstone Group decided that we wanted to maintain the manufacturing, skills and the supply chain that had been established in the North-West region over the last 40 years. He thanked members of state government including Jeremy Rockliff and Will Hodgman, and Anita Dow when she was Burnie Mayor, and Lee Whiteley, who were part of what was known as the Caterpillar task force. He said they put a proposal to the federal government to transfer $5 million that was allocated to Caterpillar to upgrade the facility, to the Elphinstone Group. 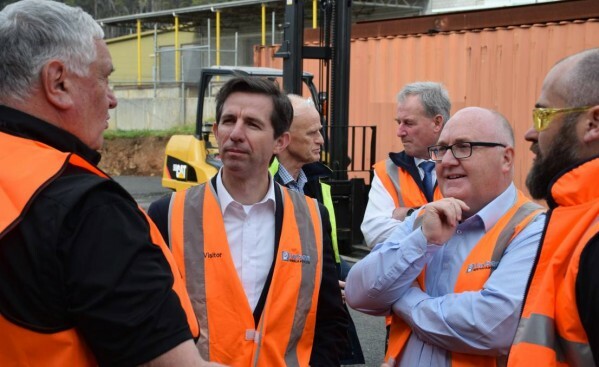 He paid tribute to Ian Macfarlane, who was then minister for industry, and Richard Colbeck for getting the federal funding of $5million to go towards the overall cost of $11 million. 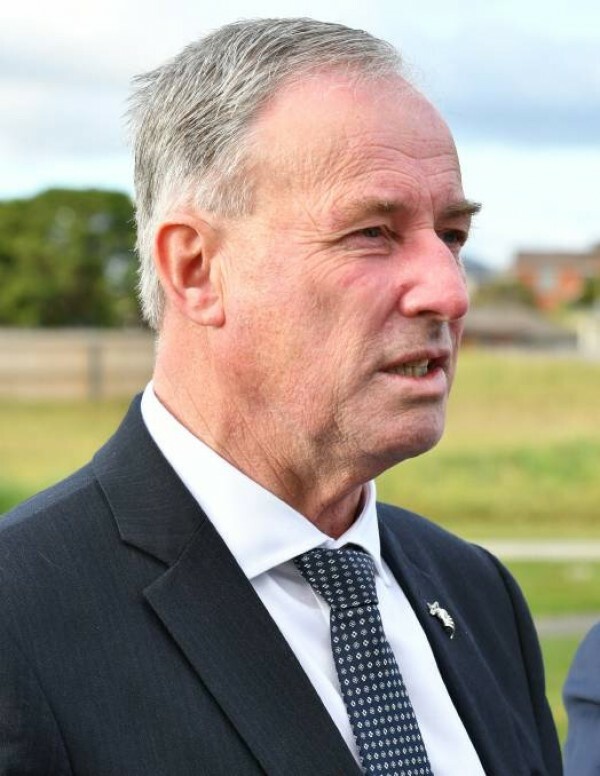 Agriculture and water resources assistant minister Richard Colbeck said the government’s investment in the facility would ensure manufacturing remained in Burnie. 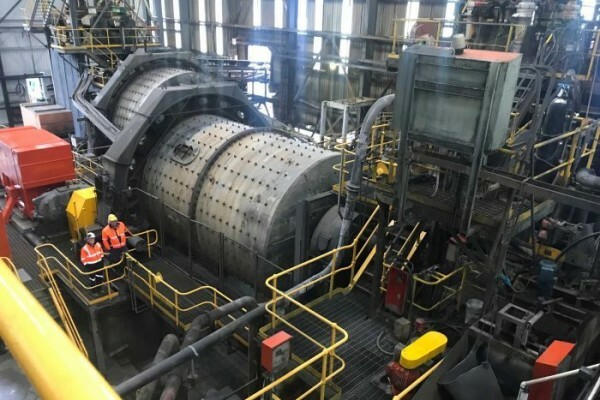 “This $8.8 million project will strengthen the North-West Tasmanian manufacturing industry and capitalise on the existing skill base and supply chain established through 40 years of manufacturing underground mining equipment in the area,” Senator Colbeck said. Mr Elphinstone said he was working toward passing the business across to children Kelly and Adam Elphinstone. “You have to have that responsibility for the businesses. We have 2,600 employees and there is about 500 of those in Tasmania and we feel responsible for the livelihoods of those people. 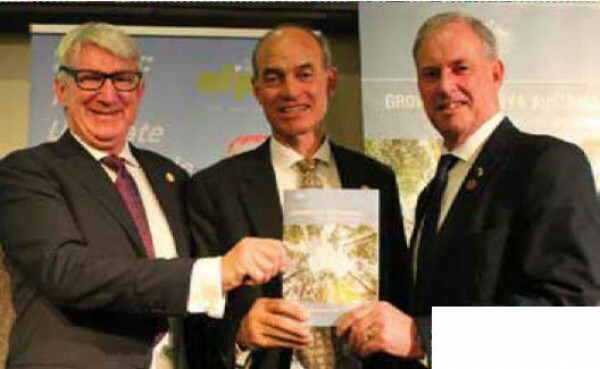 The Australian and NSW governments have released a modernised approach to forest management through the renewal of three NSW Regional Forest Agreements. Minister for Agriculture David Littleproud, Assistant Minister for Agriculture Senator Richard Colbeck and NSW Minister for Lands and Forestry Paul Toole said the improvements and the 20 year extension to the agreements, better known as RFAs, provide long-term confidence and sustainability for the future of NSW’s $2.4 billion NSW and wood product manufacturing industry. Assistant Minister Colbeck said the forest industry was the backbone of many regional communities and was set to provide even more opportunities under the renewed management scheme, which includes opportunity to intensify silvaculture on the North Coast in state forest managed areas. 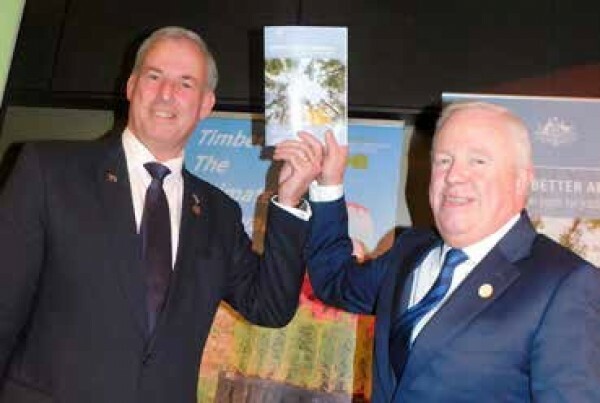 “Timber is the building material of the 21st century, with global demand expected to quadruple by 2050, so it is important we give regional communities the confidence to invest in their forest industries,” Minister Colbeck said. Spokeswoman for sawmillers Maree McCaskill, general manager of Timber NSW, said the RFA release spelled out certainty for an industry struggling to survive in a red tape world – while imports of unprotected old growth timbers into Australia exceeds what managed stands are harvested domestically. “It has been a long time coming,” she said. Ms McCaskill said Labor’s plan to establish a koala park across the best blackbutt forests from Taree to Tweed would cruel 40 to 50 per cent of sawmilling practice, mostly on the mid North Coast, like around the Tarkine State Forest, where protesters based out of Bellingen have drawn attention to “forest re-setting”, a silvaculture practice designed to encourage better genetics which can push past shady trees with poor trunk performance, provided those ordinary trees are pushed down. 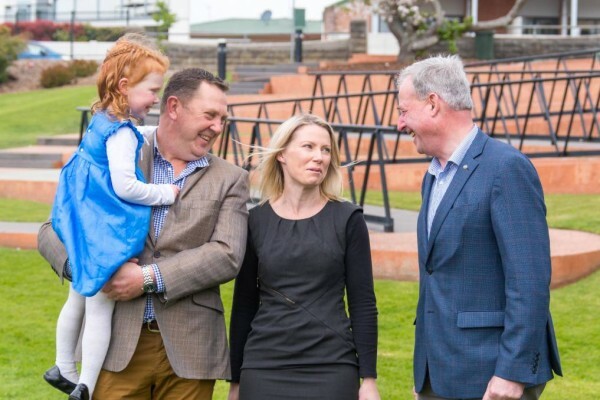 Assistant Minister for Agriculture and Water Resources, Senator Richard Colbeck, welcomed National Agriculture Day on Wednesday and has encouraged Tasmanians to celebrate by buying local Tasmanian produce. 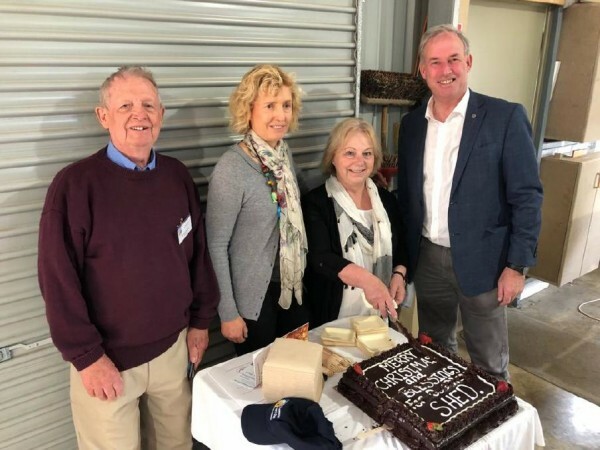 “For generations agriculture has been the backbone of Tasmania’s society and economy, and it is important we honour this important industry today,” Senator Colbeck said. “I urge all Tasmanians to celebrate by buying Tasmanian produce at their local shop and enjoy the high-quality produce our farmers work hard to deliver to us every day. FSC Australia’s National Forest Stewardship Standard joins the existing ‘Responsible Wood’ certification standard in ensuring that Australian wood products are from sustainably managed forests. The new standard is effective from 10 February 2019 and within 18 months will supersede all interim FSC standards. It has been developed over the past five years and has the backing of industry, environmental and community groups. These include New Forests and the Wilderness Society. The FSC standard includes strong protection for indigenous rights and sacred sites; old growth forests, threatened species and waterways; workers’ health and safety; and maintaining or enhancing the High Conservation Values of forest by taking a precautionary approach. Nine representatives of environmental, economic and social interests were elected to a “Standard Development Group”, which developed the Australian FSC standard in line with FSC’s international requirements. The members came from the Institute of Foresters of Australia, Regional Forest Communities (Tim Anderson), the trade union movement, the Wilderness Society, the Hunter Community Environment Centre, the ecologist David Blair, Forestry Tasmania, New Forests and the Australian Forest Products Association (AFPA). FSC sets the standards for sustainable forestry, but independent auditors assess forest managers against these standards and award the relevant certification if the standards are met. 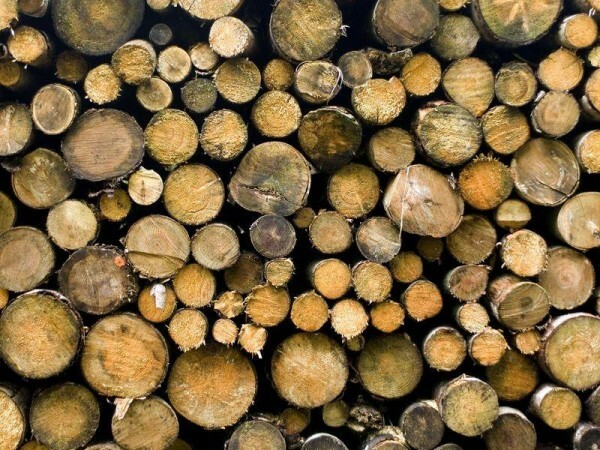 The Assistant Minister for Agriculture, Senator Richard Colbeck, whose portfolio covers forestry, said global demand for timber products was projected to quadruple by 2050. “The new Australian FSC standard will help us tap into this growth market by utilising a globally recognised trust mark for sustainable forest management,” he said. 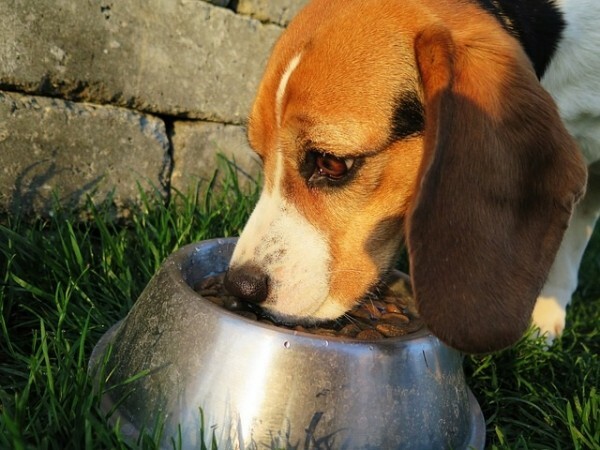 AFPA chief executive, Ross Hampton, said consumers were now more acutely aware than ever about where products come from and how they are produced, and “rightly so”. 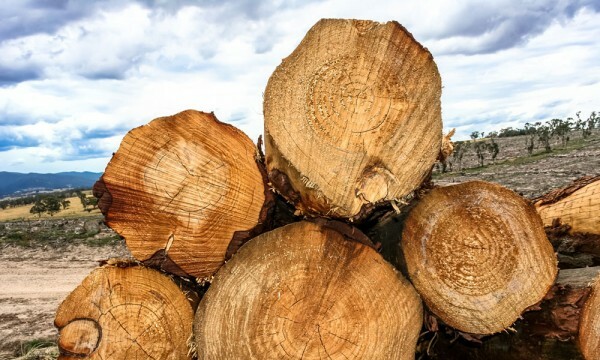 “Our renewable forestry industries need to be at the forefront of responsible and respected certification processes to instil confidence in consumers that the products they buy are sustainably produced,” he said. From February 10, FSC certified forest managers have 12 months to implement the new standard. Within this 12-month phase-in period, the FSC managers can choose to be audited against their current forest management standard or the new National Forest Management Standard. After the 12-month period, all certificate holders must be evaluated against the new standard. By 10 August 2020 – 18 months after the effective start date – all certificates under the old interim standards will be invalid. By this time, all forest management certificates must have undergone an audit under the new standard. In the hope to address the power imbalance between dairy farmers and processors, the first of 14 nationwide meetings on the proposed mandatory Code of Conduct was held in Devonport, Tas. Dairy farmers, processors and representatives discussed a range of issues including dispute resolution processes, contract requirements and transition periods. 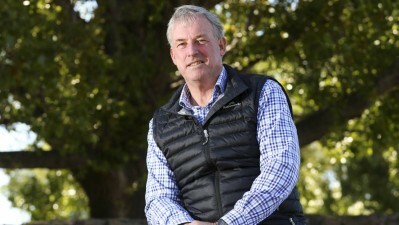 Tasmania Farmer and Graziers Association (TFGA) Dairy Council’s Andrew Lester said the TFGA wanted to see a regulatory impact statement “so we can actually assess the costs and impacts on farmers at farmgate, and that hasn’t been done as yet". "Until that has been done and there has been more consultation around the industry we can’t make a clear determination,” he said. “We need to realise that a mandatory code will come with some costs and the industry-developed voluntary code may be able to deliver those same benefits. Mr Lester said after speaking with multiple farmers, there was a lot of different views. “Different people supply different companies, so it’s difficult to understand everyone's point of view all the time, but it’s good to hear from different people,” he said. Assistant Minister for Agriculture and Water Resources Richard Colbeck said there was great discussion happening at the meeting. "We are looking to understand from growers how they see this process, one of the things that goes back a long while in my mind… is how do you balance the perception of imbalance of power between growers and processors,” he said. A new national standard will ensure Australian wood products are sourced from sustainably managed forests. Assistant minister for agriculture Richard Colbeck says the new standard will ensure sustainability is central to Australia's forest and wood products sector. Global demand for timber products is expected to quadruple by 2050, Mr Colbeck says. "The new Australian FSC standard will help us tap into this growth market by utilising a globally recognised trust mark for sustainable forest management," he said in a statement on Monday. "Consumers are increasingly aware of, and interested in, the origins of the products they buy and the processes that go into making them." 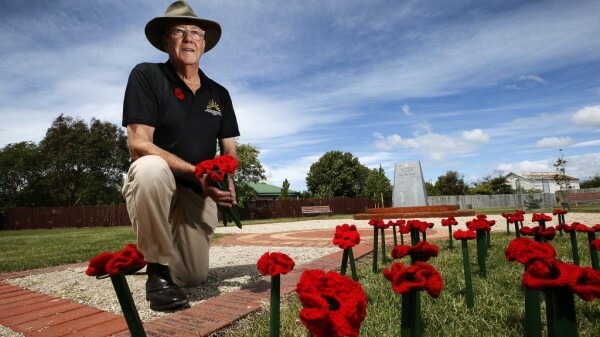 ONE hundred knitted and crocheted poppies will create a field of remembrance at Sunday’s service at Port Sorell to honour the 100th anniversary of the end of World War I. About 3000 Tasmanians were killed in the war but it is hard to know exactly how many from the Port Sorell area made the ultimate sacrifice, with many of those who enlisted doing so in nearby towns such as Latrobe and Devonport. The Simplot potato processing plant at Ulverstone has a strong chance of securing a $12 million grant from the federal government to go towards an expansion of its operations. Assistant agriculture and water resources minister Richard Colbeck said Simplot had been selected to go through to submit a full business case for final assessment and there were 12 others around Australia who had done the same. 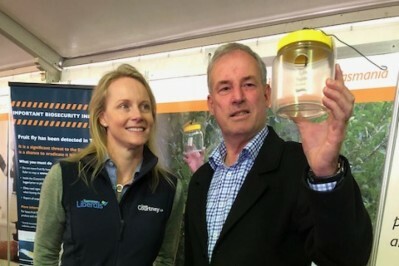 Senator Colbeck said industry, science and technology minister Karen Andrews toured the facility to gain an understanding of the importance of the potential $12 million investment, which will unlock a further $37.1 million investment from Simplot in Ulverstone. 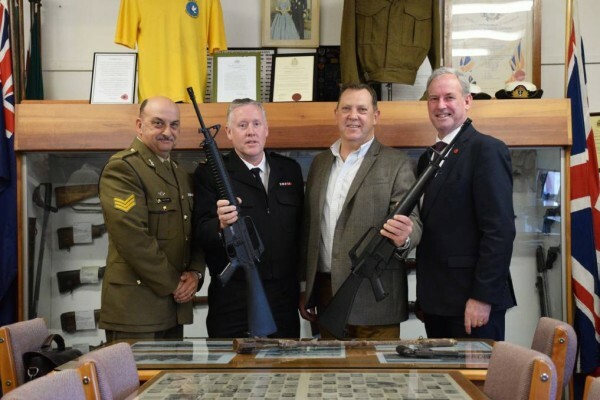 Two rifles used in the Vietnam War have been acquired by Wynyard RSL. The M16 L1A1s will be exhibited in the RSL’s military history museum among its collection of medals, memorabilia and historic weaponry. Wynyard RSL president Gavin Pearce said the M16s marked a “paradigm shift” in weaponry as warfare moved from trenches to the close contact of the Korean and Vietnam wars. “We needed a shorter, more robust, more utilitarian weapons system that was easy to operate, that stood up to the rigors that that jungle warfare provided,” he said. A Tranter revolver carried by a World War One serviceman and a Lee-Enfield rifle dug up in Belgium has also been donated to the RSL. The M16s were presented to the RSL on Tuesday by Liberal Senator Richard Colbeck on behalf of the Department of Defence. Senator Colbeck said it was important people at a local level had the opportunity to understand and commemorate the history of Australian conflicts. “It’s not about glorifying or anything of that nature,” Senator Colbeck said. Mr Pearce said the RSL needed to be a bastion of history and tell the story of the weapons, who carried them and why they were needed. “Not so much what this weapon did specifically but what it represented to our soldiers and the way that warfare has changed over the years,” he said. Wynyard RSL acquired the M16 for $660. Devonport will host the first dairy code consultation. Assistant Minister for Agriculture and Water Resources, Senator Richard Colbeck, welcomed the beginning of the consultation process around a proposed mandatory Code of Conduct for the dairy industry. 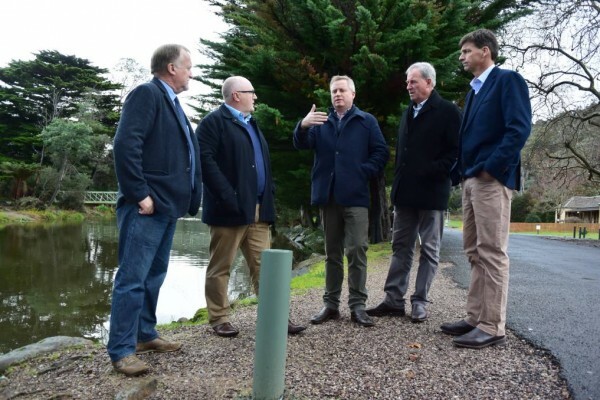 “North-West Tasmania is dairy heartland and the perspectives of farmers here matter a great deal when it comes to future decisions made for the industry,” Assistant Minister Colbeck said. All interested parties are invited to come along to the Devonport RSL at 11:30am Thursday 8 November. Further information can be found athttps://haveyoursay.agriculture.gov.au/dairy-code-conduct. The Coalition continues to work towards the provision of more affordable and secure energy with the release of our plan last week. Take a big stick to the energy companies to stop rip-offs. Create a price safety net to protect customers. Back investment in new reliable power generation to improve competition, lower prices and guarantee supply. 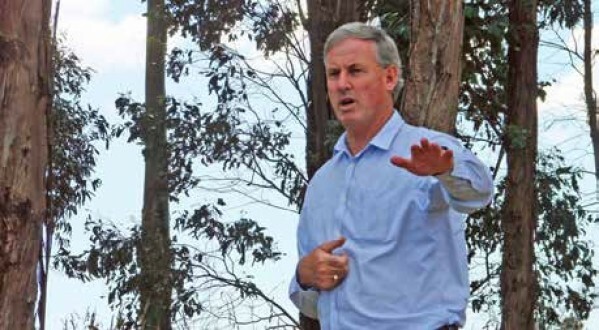 The Assistant Minister for Agriculture, Senator Richard Colbeck, said last week he was frustrated with some of the major retailers “who seem to think they can pick and choose between forestry standards”. The next big breakthrough in the agriculture industry is one step closer with national grants valued at $22,000 available. Assistant Minister for Agriculture and Water Resources Richard Colbeck said research into improving primary industries would allow the state to compete on the world stage and create jobs in the region. “I encourage young Tasmanians looking to build their future in agricultural science to apply - you might be able to make the next game-changing discovery in your field,” he said. will deliver the opening keynote address at the DANA Australian forest and wood products conference in Launceston on October 9. The conference and field trip in and around Launceston from October 9 to11 is shaping up to better the eight previous DANA-organised conferences in Australia. 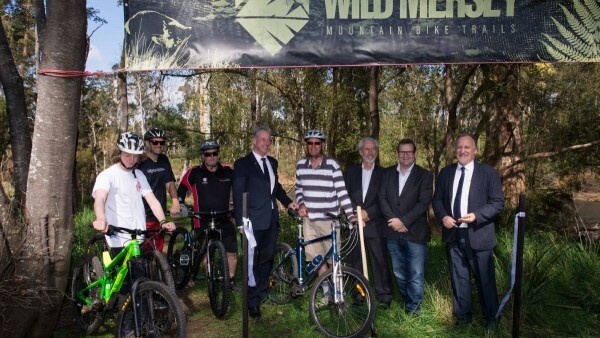 Work has commenced on the $4.1 million Wild Mersey Mountain Bike project, which will connect Latrobe, Railton and Sheffield with over 100 kilometres of world-class trails. The multi-year development has been a collaboration between the Kentish and Latrobe councils with funding help from both state and federal government. 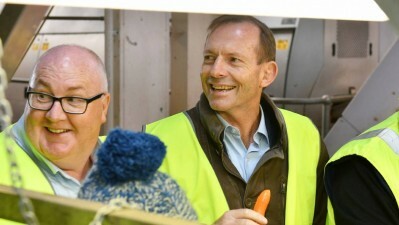 AUSSIE authorities have been granted beefed-up powers to stop unsafe foods from entering the country. The reforms come three years after dozens of dozens of people contracted hepatitis from imported frozen berries. 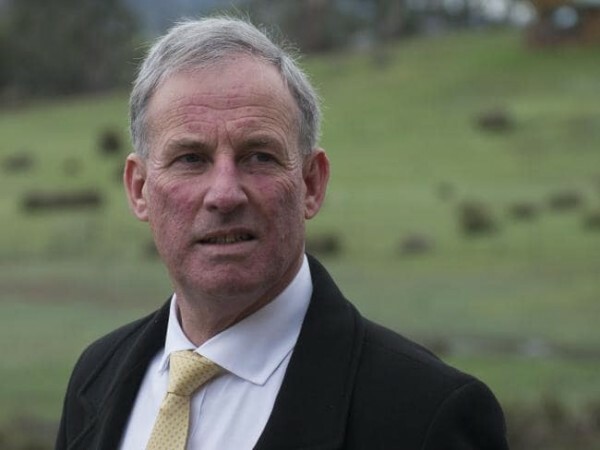 Fighter for the forest industry Tasmanian Liberal Senator Richard Colbeck has been returned as Assistant Minister for Agriculture and Water in the new Scott Morrison government – a role that carries responsibility for the forest sector. Senator Colbeck, 60, replaces SA Liberal senatorAnne Ruston who takes over the Assistant Minister forInternational Development and the Pacific portfolio from NSW Liberal Senator Concetta Fierravanti-Wells. 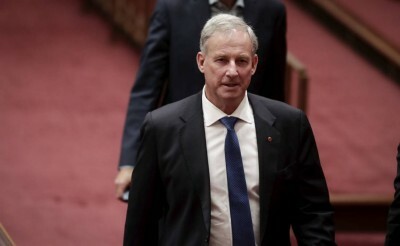 Liberal Senator Richard Colbeck completed an amazing return when he was sworn in to the Morrison Government ministry. 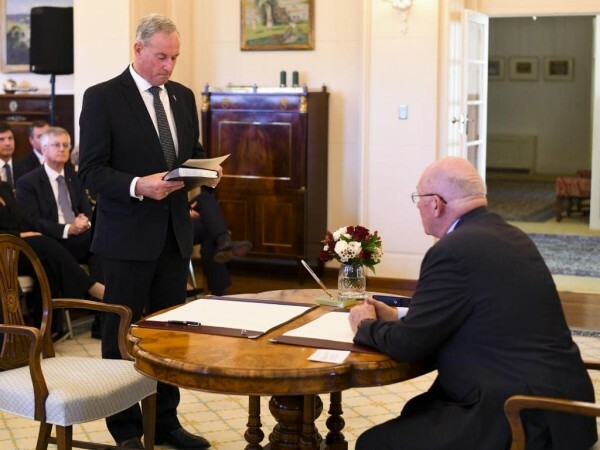 Senator Colbeck was sworn in as the Assistant Minister for Agriculture and Water Resources at the Government House ceremony on Tuesday. 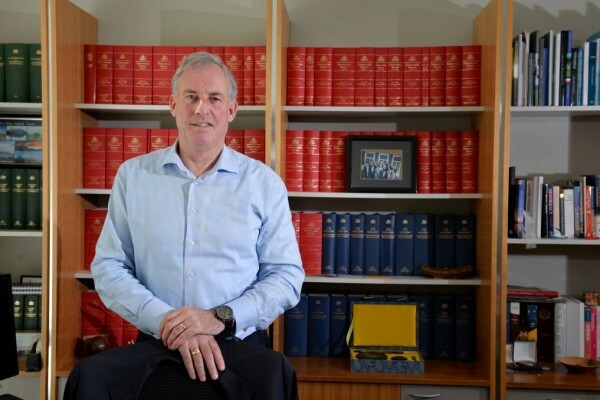 Liberal Senator Richard Colbeck says he is delighted and honoured to have been elevated to the federal ministry by Prime Minister Scott Morrison. The new assistant minister for agriculture and water resources said he was looking forward to working with farmers and forestry, particularly given the East Coast drought. Premier Will Hodgman has welcomed as good news for Tasmania the appointment of Senator Richard Colbeck as Assistant Minister for Agriculture and Water Resources. 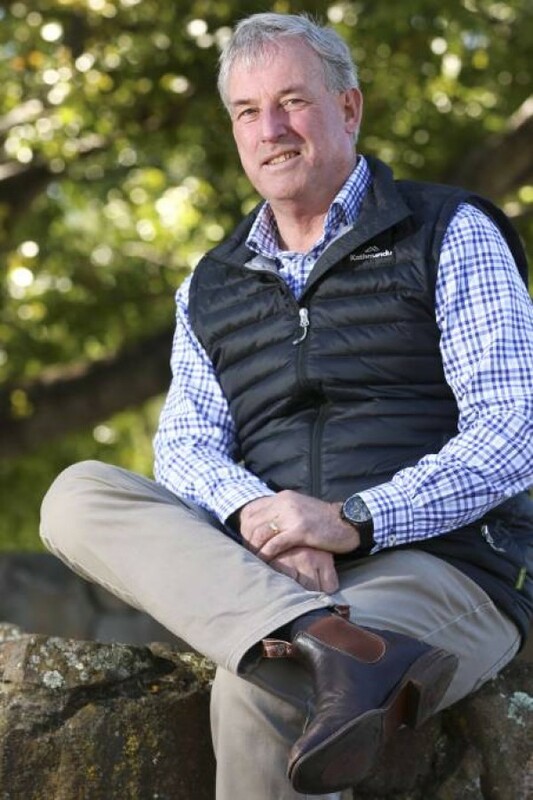 “Senator Colbeck has been a passionate advocate for Tasmania, and particularly our state's vital agricultural sector, over many years,” Mr Hodgman said. A Northern Tasmanian farmer has lashed out at McCain over contract potato pricing, as the consumer watchdog begins its investigation into the vegetable processor. 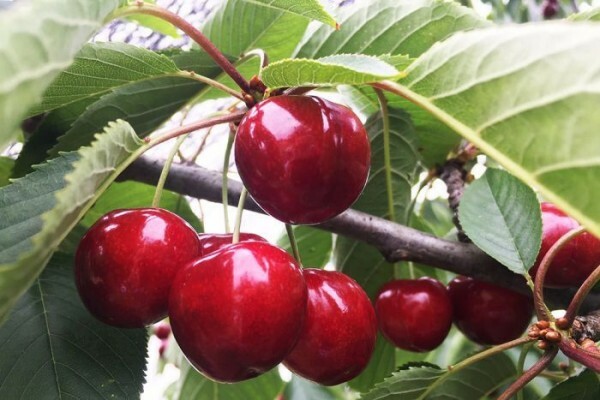 The investigation by the ACCC has been welcomed by Tasmanian Senator Richard Colbeck, who has worked with growers on similar issues in the past. 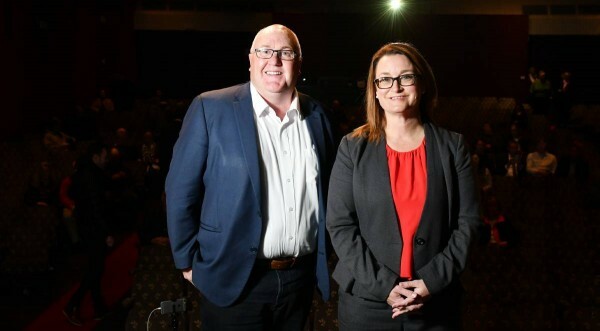 If political campaigning was an Olympic sport, Justine Keay and Brett Whiteley might have futures in green and gold. Defence Industry Minister Christopher Pyne has announced an MOU between Thales Australia, the University of Tasmania, Australian Maritime College and AMOG Consulting to establish a state-of-the-art trials and test facility for submarine and surface ship sonar systems. 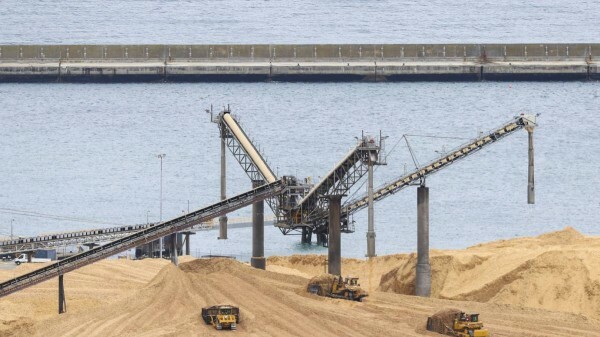 A mining operation on Tasmania's west coast will soon breathe again after ceasing production, with work set to start on extracting gold, silver, lead and zinc from tailings. About 50 jobs and significant environmental benefits are expected from a North-West minerals project expected to start production in September or October. Closed-circuit television (CCTV) cameras will be installed on the streets of Burnie, Somerset and Wynyard as part of a federal government safety program. 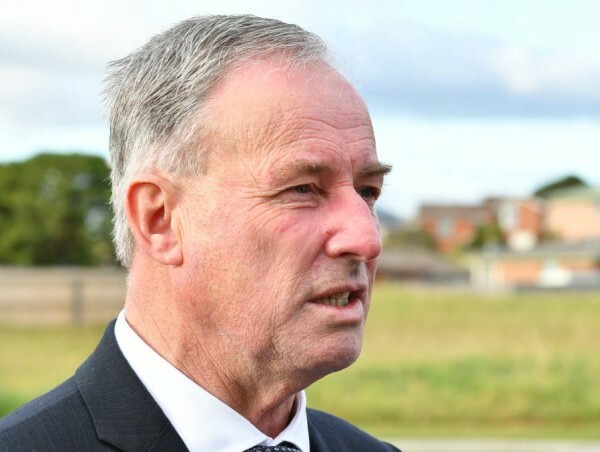 Federal Home Affairs Minister Peter Dutton said the federal government would allocate $134,000 to Waratah-Wynyard Council and $60,000 to the Burnie City Council from the Safer Communities Fund. On Friday, Foreign Affairs Minister Julie Bishop announced Direct Edge Manufacturing had been pre-qualified to provide sheet metal products for the construction of “Hunter class” naval frigates. 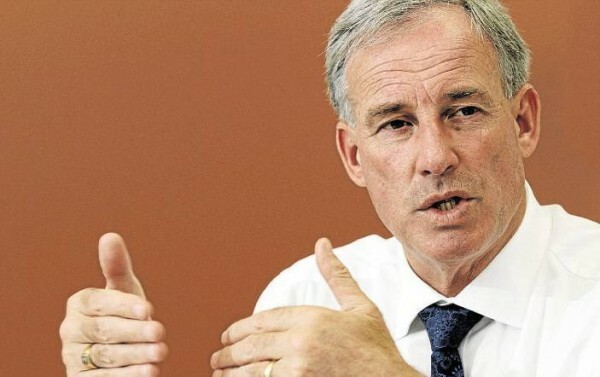 Direct Edge chief executive Di Edgerton said the company currently employed more than 45 people, and would require an extra 25 workers to deliver the contract. Tasmania has plenty of potential for more wind farms, the proponent of a West Coast wind project says. Construction will start at the end of the month after the project secured financial close with the help of $59 million from the Clean Energy Finance Corporation. Tasmanian Liberal Senator Richard Colbeck said the downgrade of the DCCI event to a “working lunch” showed what businesses thought of Mr Shorten. “Businesses are voting with their feet on Mr Shorten’s higher taxing agenda”, Senator Colbeck said. 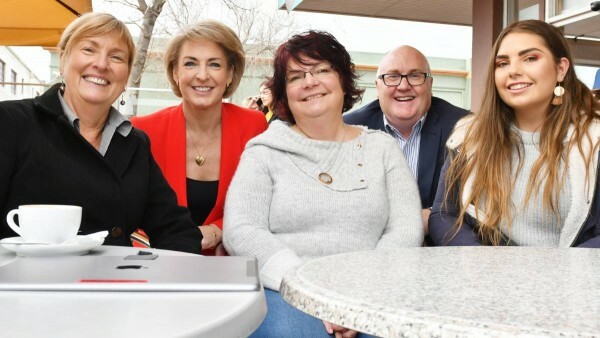 Latrobe’s Psychology CAFFE will receive $1.6 million from the federal government’s $4.8 million package for mental health in the North-West. 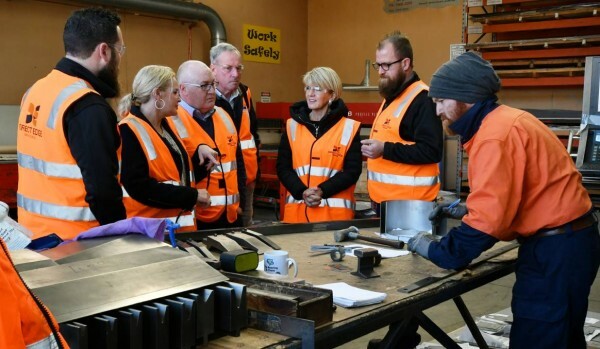 An advanced welding training centre to help North-West businesses be more competitive in international markets will be established in South Burnie. Funds for a flood mitigation project at Latrobe are already flowing, Latrobe mayor Peter Freshney says. 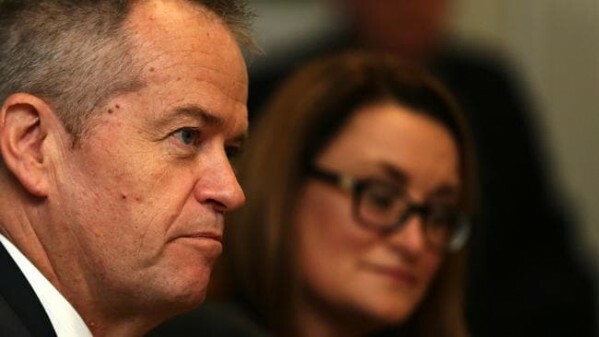 Braddon Labor candidate Justine Keay has had to defend Labor’s tax policy after Opposition Labor Leader Bill Shorten promised to repeal some of the government’s company tax cuts. 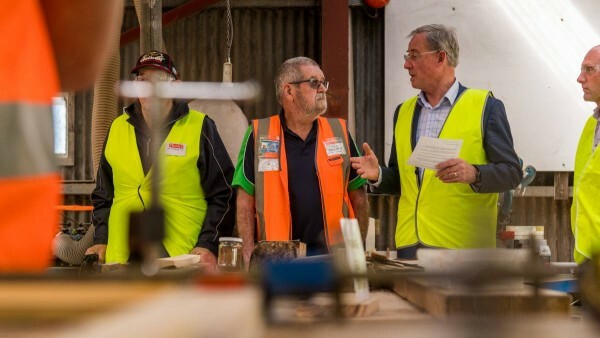 The first stage of the government's tax cuts plan has been approved with full support and Liberal members were in Ulverstone on Friday to discuss their impact on Braddon workers. Devonport and the Coast is in mourning after the death of an admired and respected former mayor. 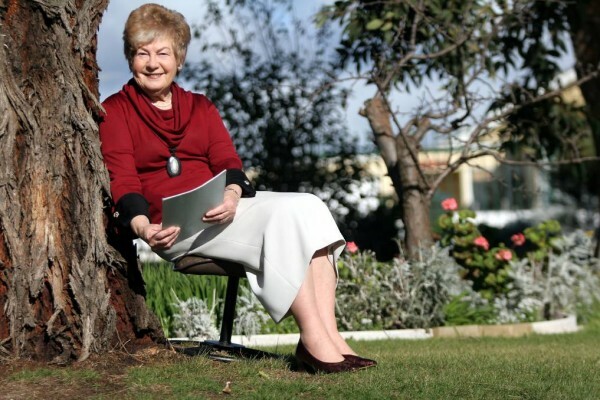 Tributes are flowing for Mary Binks, OAM, who died at her home on Tuesday. Ulverstone Neighbourhood House is set to receive a PV solar system with a grant from the federal government. The $7,827 grant from the solar communities program will reduce the powerbills of the house, allowing the money saved to go back into the organisation. Ulverstone Neighborhood House manager Simon Douglas said the Men’s Shed received a system the same size and now they are saving $2,000 a year on power bills. Britton Timbers will employ an additional five people upon the completion of its High Value Timber Drying Improvement Project. Expected to be completed by the end of the year, the works have also created five jobs throughout construction. Britton Timbers director Shawn Britton met with Liberal Senator for Tasmania Richard Colbeck and Candidate for Braddon Brett Whiteley to discuss the industry boost on Monday, a product of a two-year research study at the University of Tasmania. The Federal Government has announced it will spend $20 million on the war against fruit fly in Tasmania. But some fear the money has come too late and will not be spent on the frontline workers needed to detect the pest. A fruit fly incursion was recorded in the state's north in January. 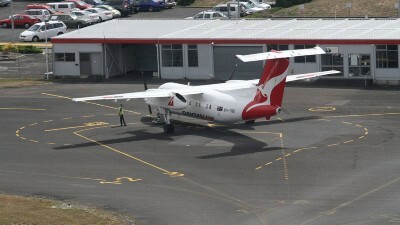 A Tasmanian senator has called on his Liberal colleagues in the Hodgman government to “take the lead” in lobbying Qantas to establish a new pilot training college at Devonport Airport. Senator Richard Colbeck wants there to be a “whole of state approach” to attracting the training college to Tasmania, which he says would distinguish the state from mainland bids. 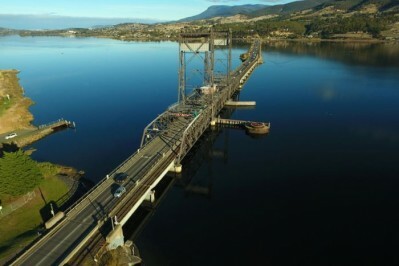 The Federal Government will allocate $461 million in tomorrow's budget to build a new Bridgewater Bridge downriver from the current one in Hobart's north. 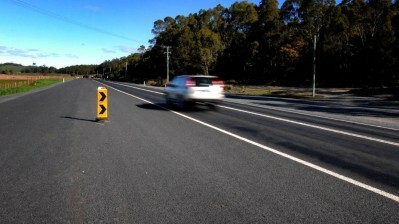 The pledge for a long-awaited replacement bridge linking the Brooker and Midland highways is part of a massive $920 million package for the state. 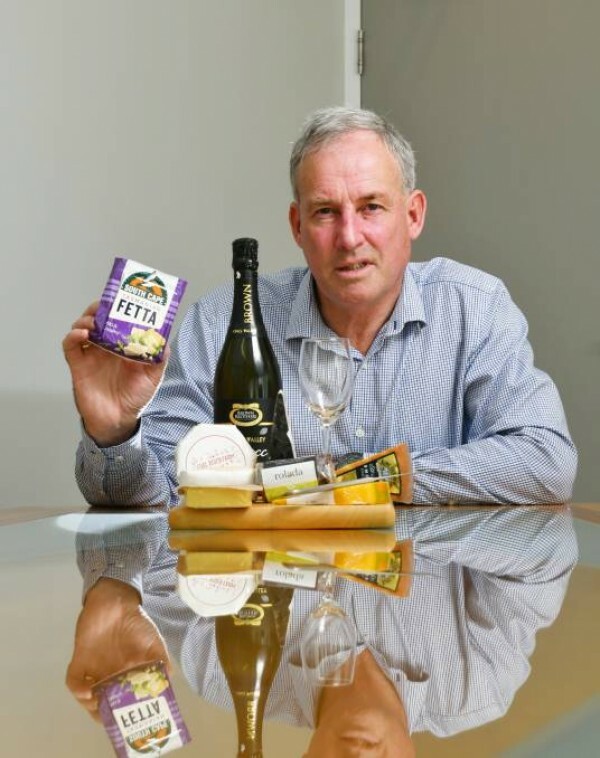 Tasmanian producers are on a collision course with Europe over the use of product names like feta and parmesan. The European Union wants Australian companies banned from using a range of product names which originated in Europe as the early negotiations on an Australia-EU free trade agreement approach. Construction of phone towers in North-West Coast mobile black spot areas is expected to start before the end of the year. Areas at Gunns Plains, Yolla, Sulphur Creek and Devonport will receive better phone and internet coverage, as part of the federal government’s $220 million black spot program. Tasmanian Liberal Senator Richard Colbeck visited Gunns Plains to make the announcement on Thursday. The Coalition has detailed its plan to boost Tasmania’s infrastructure with a $920.8 million cash injection, which one senator says will facilitate the biggest infrastructure project in the state since dams were constructed in the 1960s and ‘70s.